Overwhelmed by the thought of decluttering your home? Then it's time to start small by tackling the smallest organizing project in your home: your bathroom. Bathrooms are clutter magnets. 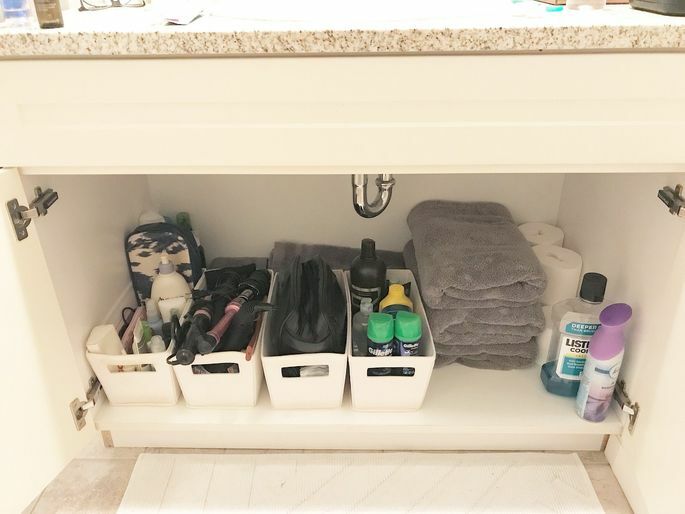 It makes sense—it's one of the most compact rooms in your home, yet it's filled to the brim with an assortment of essentials, from deodorant to makeup to those extra rolls of TP. Throw in the fact that you likely don't spend much time in there once you've finished your morning routine, and you've got a recipe for a clutter catastrophe. But never fear. In our weekly guide Home Organization Made Easy, we went to the experts for help, and we're sharing their responses with you. It turns out, you don't need all day to get your bathroom in order; as little as 15 minutes a day is enough to make a difference. Here's how to declutter your bathroom, no matter how much free time you have. No matter how busy your day is, you can probably squeeze in 15 minutes to make a dent in the clutter you've accumulated in the bathroom. "Always start with an objective of letting go of the stuff that has expired—in a bathroom, that's a safety issue more than in other spaces," she says. According to Williams, it's important to use something to organize that space, such as baskets, bins, or pull-out shelves. "Put your stuff in something that either raises it off the cabinet floor or protects it from the floor," she warns. "I've had two leaks ruin stuff which was directly on the cabinet floor." 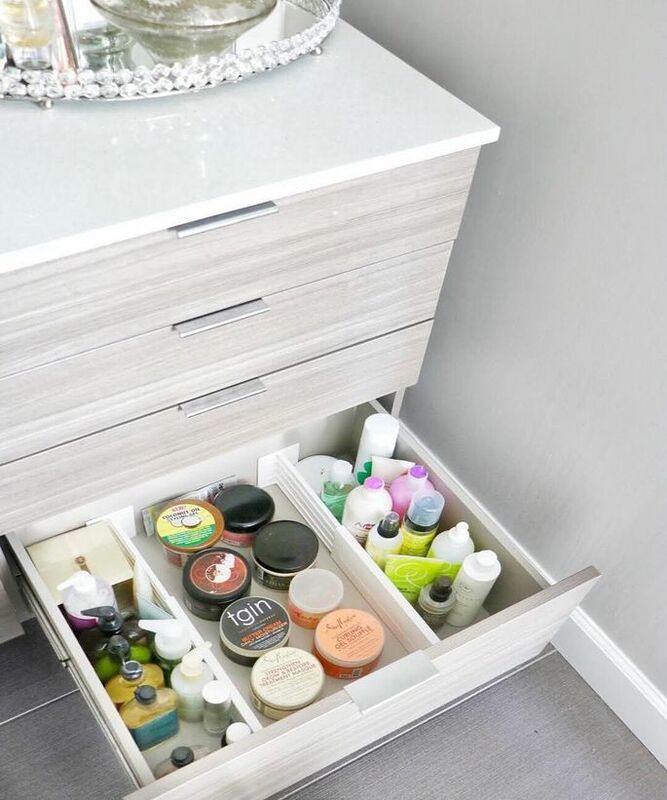 Organized bathroom drawers make it much easier to find what you need. 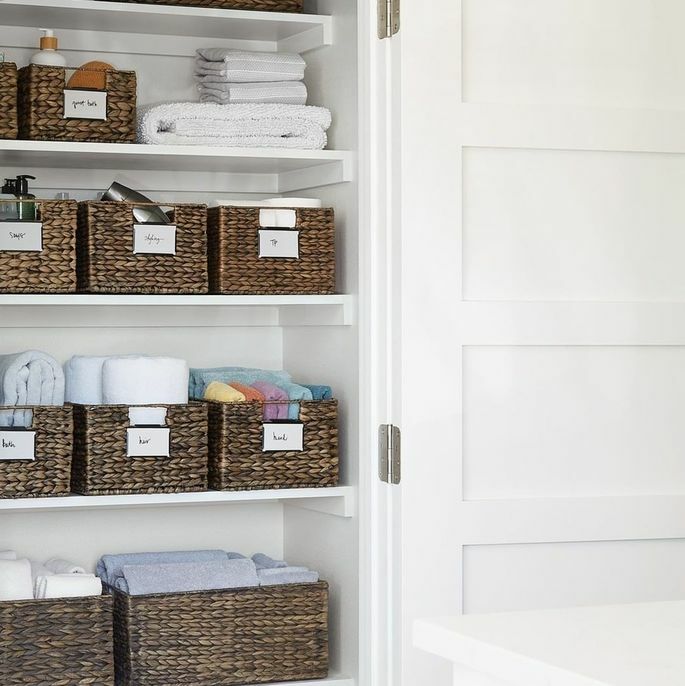 Professional organizer Nancy Haworth, owner of On Task Organizing, says you can also tackle the bathroom drawers in 15 minutes—though you may not get more than one drawer done. Just empty the drawer and discard anything you don't need, use, or like. Williams adds, "That includes the stuff you don't like but spent too much money on to part with, because you'll never use it." If you really don't want to waste it, pass it on to a friend. Once you've whittled everything down to what you're going to keep, put it back in the drawers in a way that makes sense to you, so you can find everything without creating a whole new mess. Finally, it's time to corral the most obvious clutter—the bathroom counter. 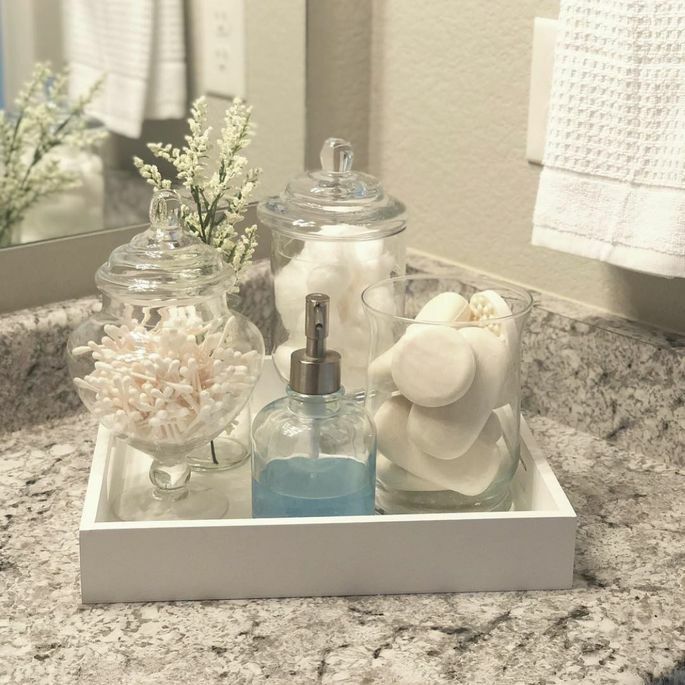 If you've organized all the drawers and cabinets efficiently, it shouldn't take much time at all to go through everything currently residing on your counter and put it in its appropriate storage spot. It's best to clear off your counters as much as possible, but if you have items you just have to have on hand, store them in pretty canisters and tins, and then keep all of that on a tray to contain the overflow. Once your counters are clear, you'll be amazed by how much cleaner your entire bathroom will look. While you can accomplish a lot in 15 minutes, you can get even more done in 30. With each half-hour, you can sort through each "clutter collection" (you know, those bins and boxes you sorted around while you were cleaning drawers and cabinets), and pare it down to a more manageable amount of items. 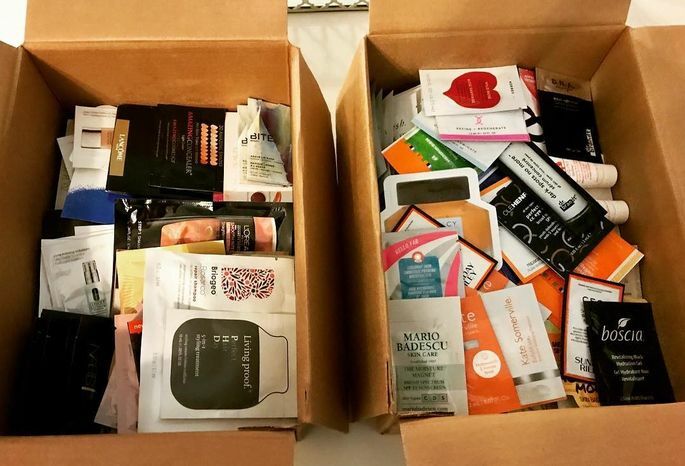 According to Haworth, 30 minutes is the perfect amount of time to sort through your collection of samples and travel toiletries. Unless you're a frequent traveler, get rid of anything you won't use in the next six months. "These are great items to donate to a shelter, if you don’t need them," she says. It's also a great idea to spend a half-hour organizing your first-aid kit. "Organize first-aid supplies so they are easy to access in an emergency," says Haworth. 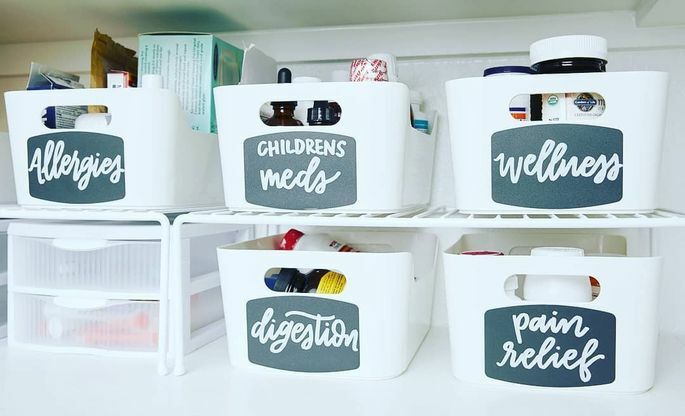 Williams warns that medicines shouldn't even be stored in the bathroom, and suggests you take this opportunity to relocate them. "It is considered safer to keep meds out of the bathroom to avoid extremes of humidity and temperature, which can decay medicines," she explains. "I like them in the kitchen—it's often easier to make a routine of taking the meds when they're near the food and water." "I fiercely advocate that as a way to avoid mistakes," she says. It may also be a good idea to sort shared medicines by use, making it easier to find what you need. If you have a free hour, it's time to tackle the biggest projects your bathroom has to offer. Haworth says this is likely how long it will take you to organize your linen closet or bathroom closet. Pull out everything that doesn't belong in there (there's probably a lot), and move it to its appropriate home. Refold all of your towels, and get rid of anything that's full of holes or too old and grungy to use. 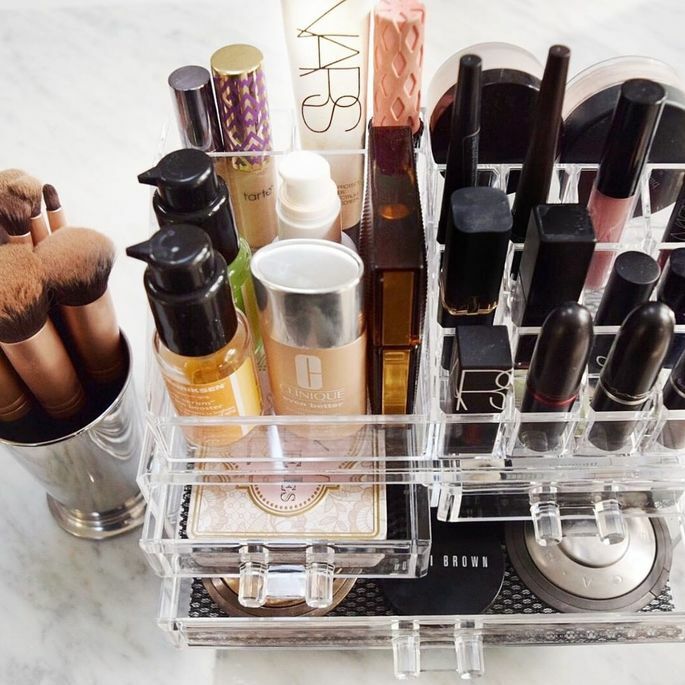 Finally, use baskets with labels to organize everything that's left. The space over the toilet is wasted if you're not using it for storage. Williams has another big project that will take about an hour, and that's installing more storage—because every bathroom needs it. 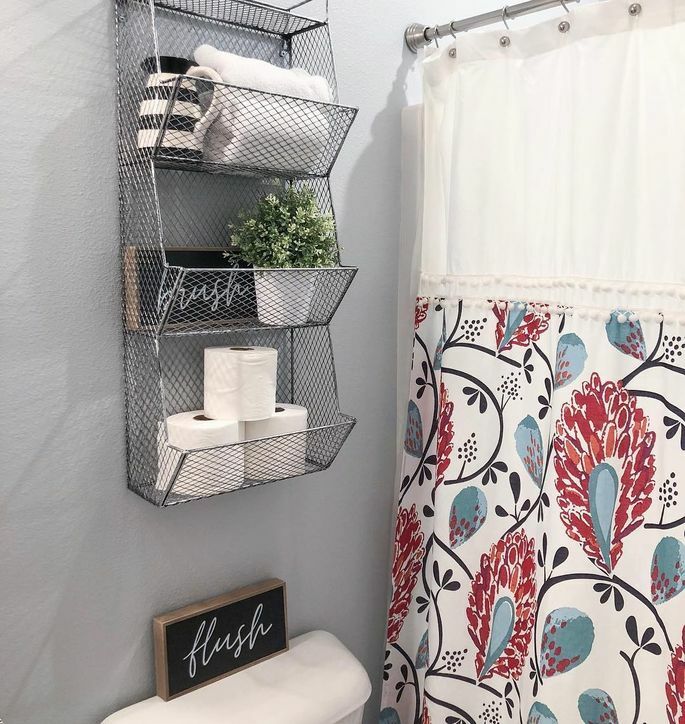 If your bathroom doesn't have over-the-toilet storage, she says, it's time to find a cabinet or shelving unit that you like, and hang it up. "Any bathroom can benefit from one if one will fit over the toilet," she says. "Extra towels, extra toilet paper ... the options are endless."